Ciao lovelies! Today I have a special doll review. 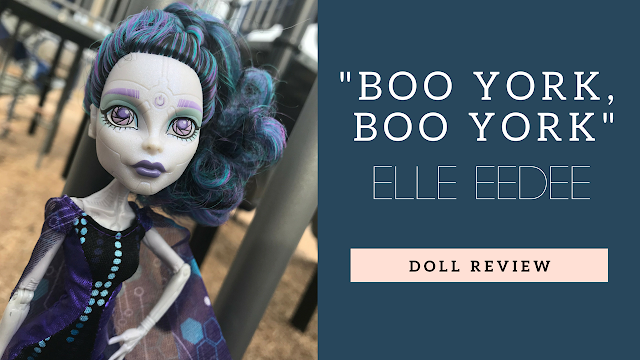 I got Elle Eedee for Christmas from my Dad, and while I usually don't review gifts, he told me he wanted me to review her on the blog to share all the special details that make Elle so amazing! And I am always more than happy to share details about dolls with everyone! I got her on Christmas and unboxed her that day, so I have only one pic of her box art. But her box art was certainly very cute, with skyscrapers, and art of Elle in the corner. She has little detailing all over her body indicative of her robotic nature, her eyes are camera shutters (apertures!) She has a little power symbol on her forehead, her ears are molded to look like speakers.....Even her joints have molding to imitate screws. The level of detail in this doll is MINDBLOWING. THIS is the level of detail and love that should go into every monster high doll, not just the pre-reboots. This level of detail is so impressive and won me over entirely. This is what I love about pre-reboot monster high. 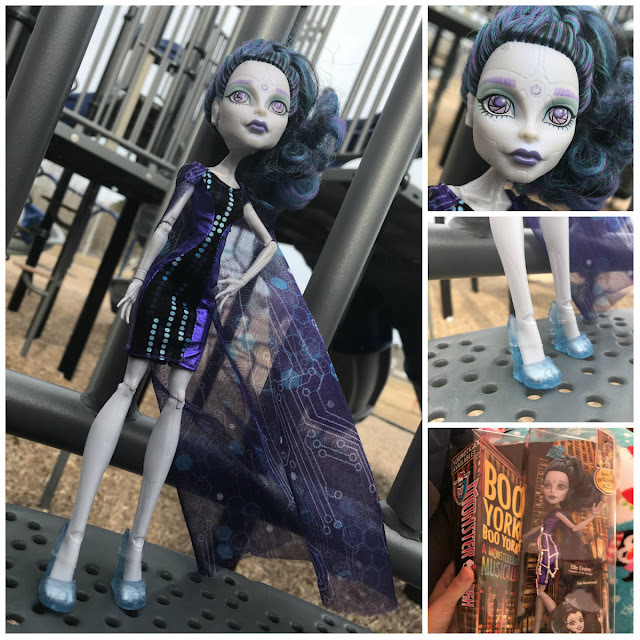 Overall, Elle gets a 5/5 from me, and was an AMAZING Christmas gift, Dad if you're reading thanks again for this amazing doll! If you're looking to add this doll to your collection, I believe she can still be found on Amazon but I believe they have stopped manufacturing her, so act fast! Thanks for reading. If you liked this, you may also like our Ghouls Getaway Jinafire Long review, or our Garden Ghouls Toralei Stripe review.